Hipac's flat screen displays will bring clarity and accuracy into every procedure. Each of our displays is designed to deliver high image resolution and quick video response times, and provide the surgical team the ability to perform each procedure with precision. Because Hipac understands that each OR presents its own unique needs and specialties, we are pleased to offer multiple display options. 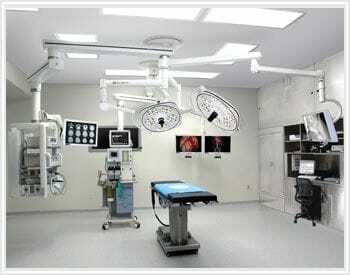 From minimally invasive surgeries to PACS imaging, Hipac can offer the optimal display for you. The displays present crystal-clear images gathered from endoscopic camera, fluoroscope, MRI, CT imaging, ultrasound and much more. Despite the varied display options available, each model is medical grade and compliant with the most stringent of safety regulations. What's more, each display can support numerous source types, including SDI, DVI, VGA, S-Video and Composite. Our displays are assured to be compatible with legacy, current and future source inputs.